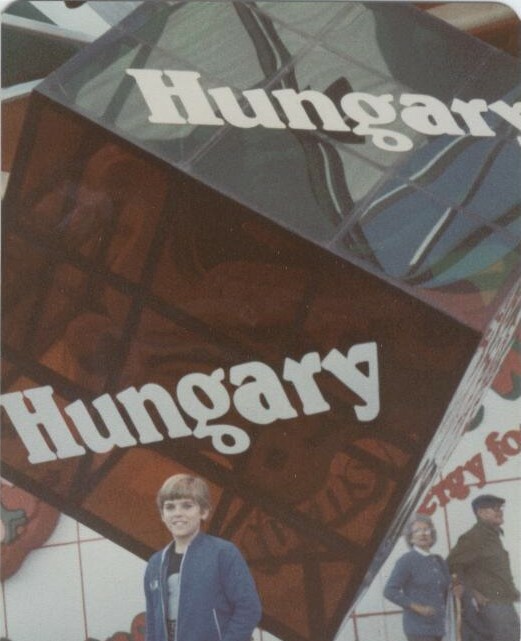 At the 1982 Worlds Fair in Knoxville, Tennessee, a boy could feel very small when standing next to the giant Rubiks Cube at the Hungary Pavilion. The Ragnar Bjarnason version of "Smells Like Teen Spirit" (which I downloaded from AprilWinchell.com) would be scorned by many but not by me. I should say Whitney Houston's "All the Man I Need" instead because it's more recognizable. Nothing makes me cry, especially not a song, but I am saddened when I listen to my Queen Margot soundtrack because of the associations between the songs and the massacre in the movie. Similarly, I feel bad for Ariel of Little Mermaid fame when she sings about wanting to be part of my world.